Few of the world’s coastal waters are pollution-free. Tasmania therefore has a competitive edge in aquaculture, with one of the most pristine environments in the world and water temperatures perfect for growing top quality salmon. 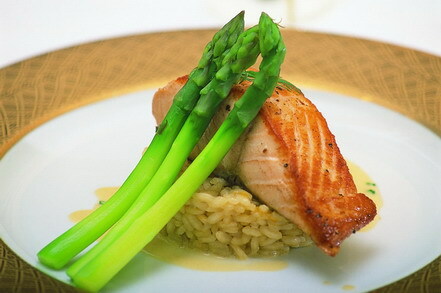 Tasmanian-grown Atlantic Salmon is the first choice for many chefs because of its flavour and texture. 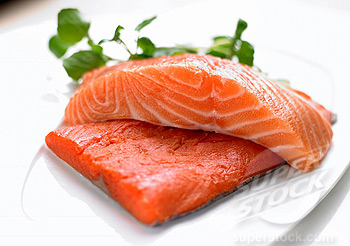 An excellent source of omega-3 fatty acids, Tasmanian Atlantic Salmon is also chock-full of vitamins and minerals, including vitamin A, a range of B vitamins, antioxidants, vitamin D, and the minerals calcium, copper, iron, magnesium, phosphorus, potassium, selenium and zinc. 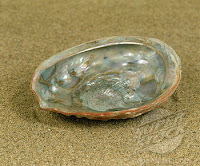 Tiny Tasmania is the world’s largest supplier of wild abalone. The shellfish flourish on Tasmania's wild and tempestuous coastline, in one of the world’s last remaining unspoilt marine environments. Its succulent, meaty texture and delicate flavour mean Tasmanian Wild Abalone is recognised globally as the best on the market. In the valleys of western Tasmania the rainforests enjoy rainfall measured not in inches but in metres per annum. It is here that the Leatherwood trees flower in late summer and here that beekeepers collect the all-natural Leatherwood honey. The musky rich taste of honey from Leatherwood blossoms is distinctly Tasmanian. 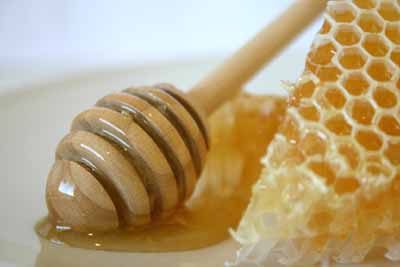 Leatherwood honey is thick, creamy and amber-yellow in colour – not as sickly sweet to taste as other varieties of honey, but with a unique flavour and aroma. The first black truffle was uncovered in northern Tasmania in June 1999. 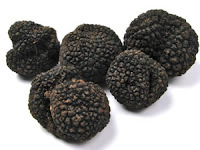 Since then, Tasmania’s truffle enterprises have benefited from the desire of international chefs to serve these highly prized fresh truffles outside the traditional European season of December to February. 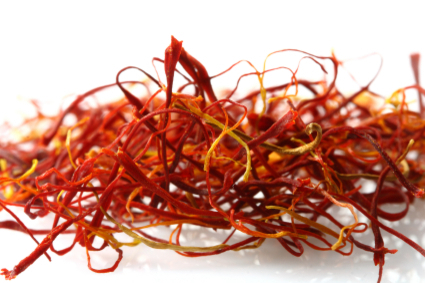 Nicky and Terry Noonan are the pioneers of saffron growing in Australia. When they arrived in Tasmania from Sydney, all they knew about the expensive spice was that it was used in making paella. Why is saffron so rare and expensive? Saffron is the dried stigma of the crocus flower. Each crocus flowers for just 35 days in autumn and produces one flower only. Each flower produces three stigmas. Adding substantially to the cost is the fact that picking, stripping, weighing and packing the filaments must all be done by hand. Little wonder that the spice, by weight, is worth more than gold. 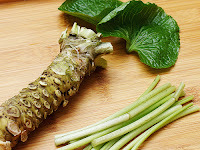 Another boutique ingredient produced in Tasmania is the traditional Japanese condiment, wasabi. Four local growers are scrambling to supply the increasing demand for this spicy-hot product. It is sold as either fresh stems or dried powder. Demand comes from top Australian restaurants (and the Japanese embassy in Canberra), and also from innovative Tasmanians who add the locally-produced wasabi to give a unique flavour to mustards, pickles and cheeses. Ashgrove Wild Wasabi-flavoured cheese has won many awards. There are dozens of boutique producers of extra virgin olive oil in Tasmania. The cool climate leads to lower yields for growers but results in a product that is more nutritious and with a stronger flavour. 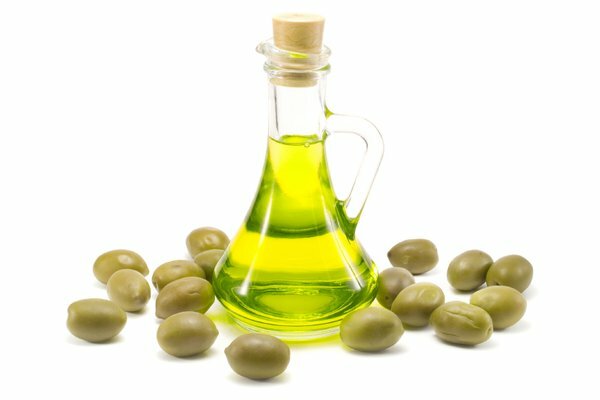 Tasmanian extra virgin olive oil has a free fatty acid level – indicating minimal oxidation – which is four times better than the standard set by the International Olive Oil Council. 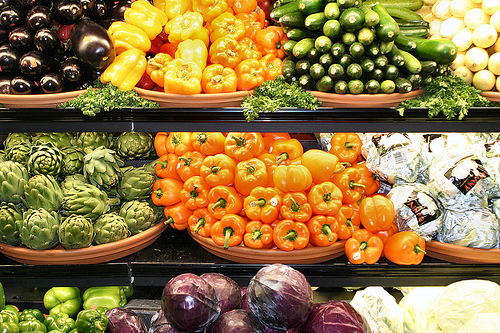 With today’s emphasis on a healthier lifestyle and protection of the environment, consumers are concerned about the long-term effects of the chemical stew used in the growth and production of many supermarket foods. Little surprise then that organic farming and production is a growth market for clean, green Tasmania. The State has the largest acreage under organic farming per head of population in Australia. This means that locals have access to an astonishing variety of organic products, including vegetables, salads, fruit, herbs, milk, cheese, yoghurt, cream, eggs, honey, wine, beef, lamb, chicken, olives, carrots, potatoes, beans and seeds. 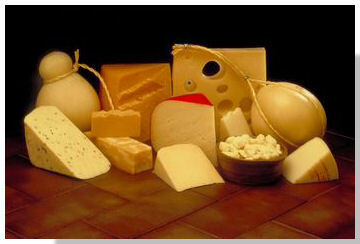 It is not surprising that Tasmanian cheese-makers regularly win top awards. They have the advantage of a clean environment and temperate climate. Who in Australia has never heard of King Island cheeses? In addition to the usual hard and soft varieties, blues and bries, cheddars and camemberts, many boutique enterprises also produce varieties made from goat and sheep milk.Tasmanian cheesemakers are passionate about cheese – you can taste it. 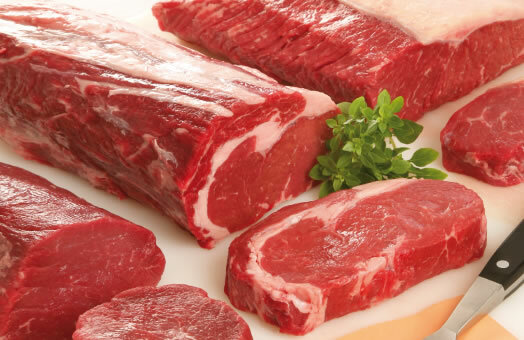 All beef produced for consumption in Tasmania is free from antibiotic and hormone growth promotants, and the majority of Tasmania’s beef cattle are grass-fed and are raised on chemical-free pastures. Wagyu cattle are raised in the State’s north-west corner, mainly for beef export to Japan, but also to satisfy growing local demand. Kelvin Markham is a website developer, marketer and final year Law student at University of Tasmania. He is the original author of Guide to Salamanca and The Market at www.salamanca.com.au.